With the third and final blood-splattered season, Ash vs Evil Dead has closed the book of the dead on Ash Williams and his fight against the deadites! 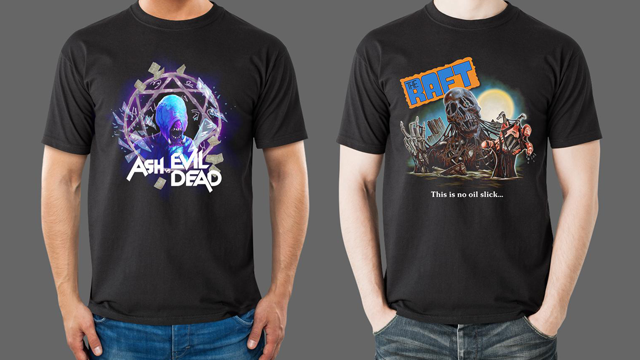 While it’s sad to see the show come to an end, The Evil Dead lives on with Fright-Rags’ Ash vs Evil Dead collection. 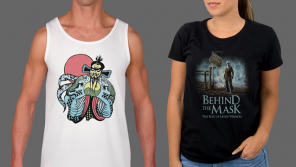 Fright-Rags have also released a Creepshow 2 collection featuring five t-shirts and four enamel pins, and a Killer Klowns from Outer Space collection featuring four t-shirts and three ringer tees in custom colors.